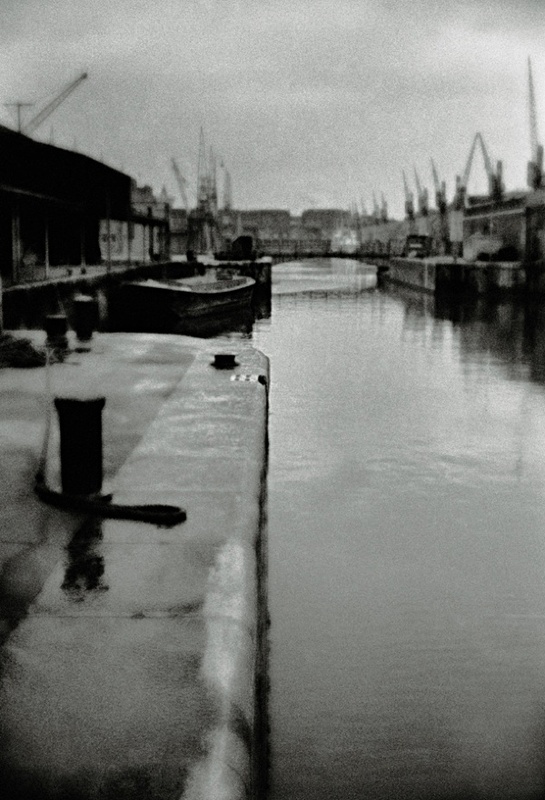 Take a trip down the Thames at a relaxed pace with Photographer John Claridge, in his tiny inflatable dinghy with outboard motor attached. 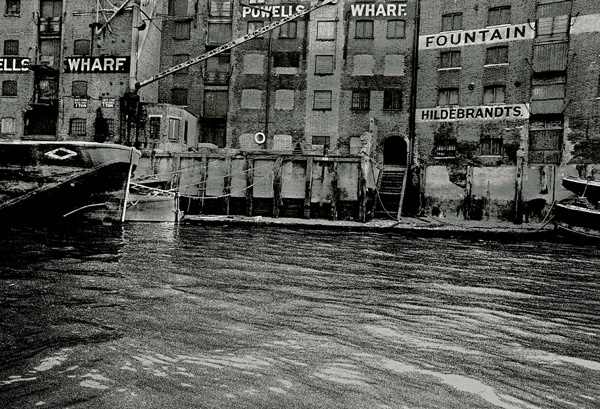 The journey begins in 1961 when the London Docks were still working and ends in the nineteen eighties once they were closed for ever. 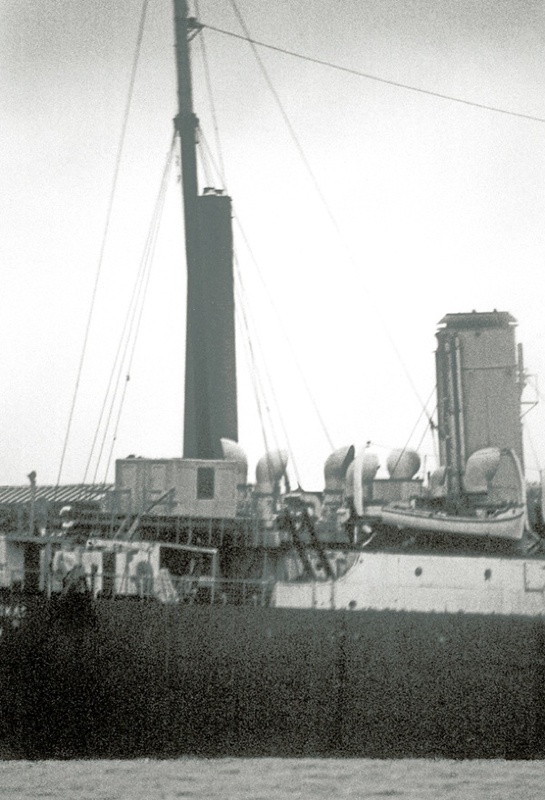 This set of photographs – published here for the first time – are some of the views to be seen on that voyage. Setting out at dawn, John’s photographic adventures led him through smog and smoke, through early morning mist, through winter fog and haze upon the river, all filtering and refracting the light to create infinite luminous effects upon the water. 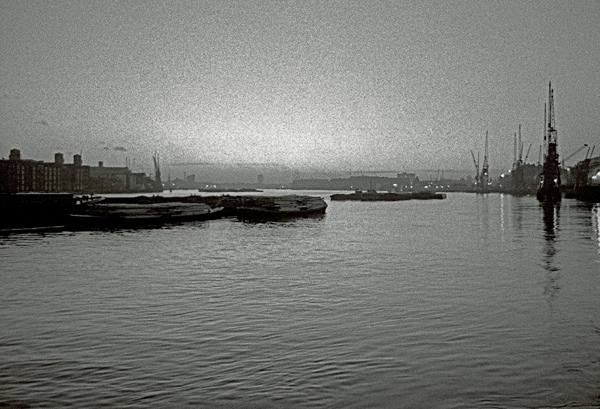 In the previous century, Joseph Mallord William Turner and James McNeill Whistler had attempted to evoke the distinctive quality of Thames light upon canvas, but in the mid-twentieth century it was John Claridge, kid photographer from Plaistow, who came drifting out of the London fog, alone in his dinghy with camera and long lens in hand to capture his visions of the river on film. “You still had industry which created a lot of pollution, even after the Clean Air Act,” he recalled, “People still put their washing out and the dirt was hanging in the air. 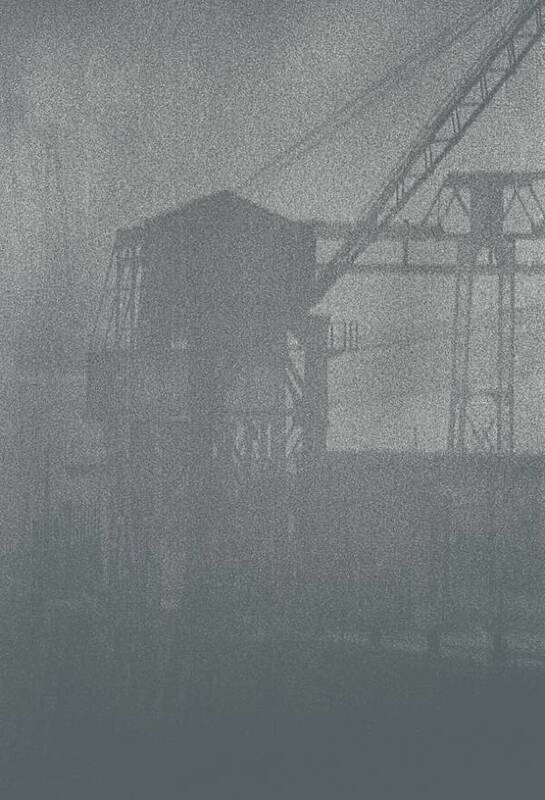 My mum used to say, ‘Bloody soot on my clean clothes again!’” But in a location characterised by industry, John was fascinated by the calm and quiet of the Thames. 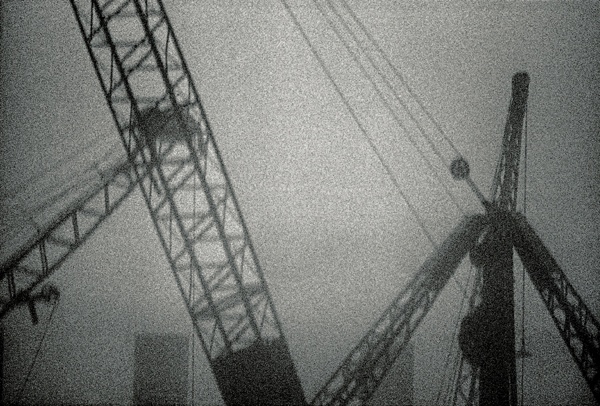 “I was in the drink, right in the middle of the river,” John remembered fondly, speaking of his trips in the dinghy, “it was somewhere you’d like to be.” John climbed onto bridges and into cranes to photograph the dock lands from every angle, and he did it all with an insider’s eye. 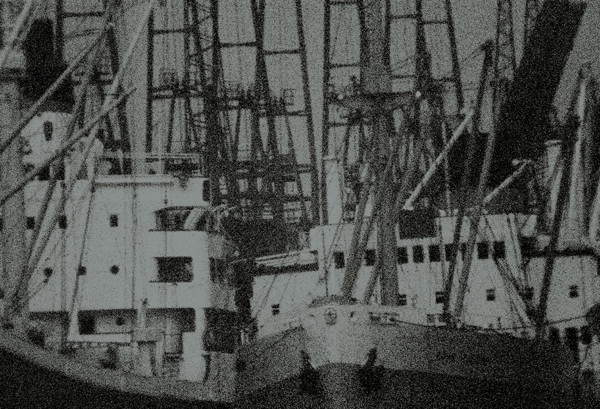 Generations of men in John’s family were dock workers or sailors, so John’s journey down the Thames in his dinghy became a voyage into a world of collective memory, where big ships always waited inviting him to depart for distant shores. 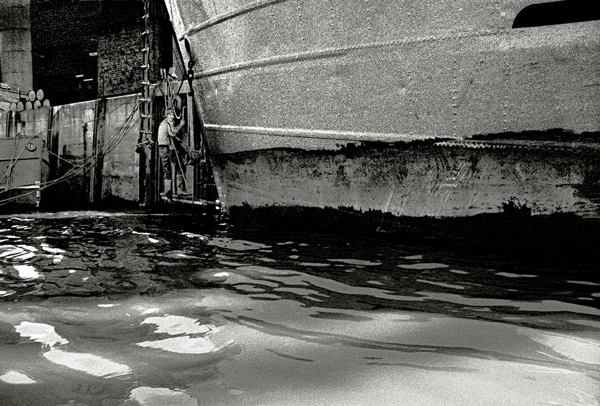 Yet John’s little dinghy became his personal lifeboat, sailing on beyond Tower Bridge where in 1964, at nineteen years old, he opened his first photographic studio near St Paul’s Cathedral. 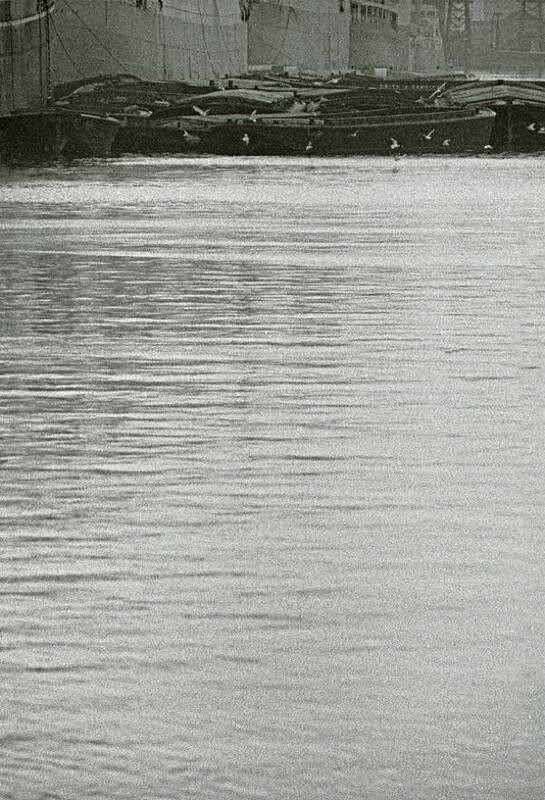 John found a way to fulfil his wanderlust through a professional career that included photographic assignments in every corner of the globe, but these early pictures exist as a record of his maiden voyage on the Thames. so beautiful, the dinghy’s eye view reminds me of the opening Our Mutual Friend, dickens’ last novel. which among many other things is about how old man river just keeps rolling along. it seems not to have changed much, in these photos, from dickens time. Oh this is quite wonderful. 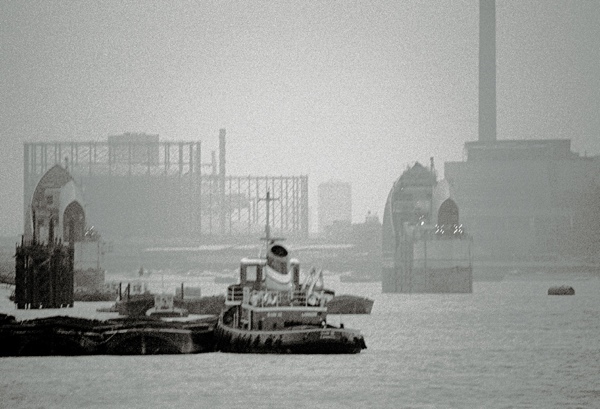 He’s transported me immediately to my London schooldays in the 1960′s, when we lived near the Thames. 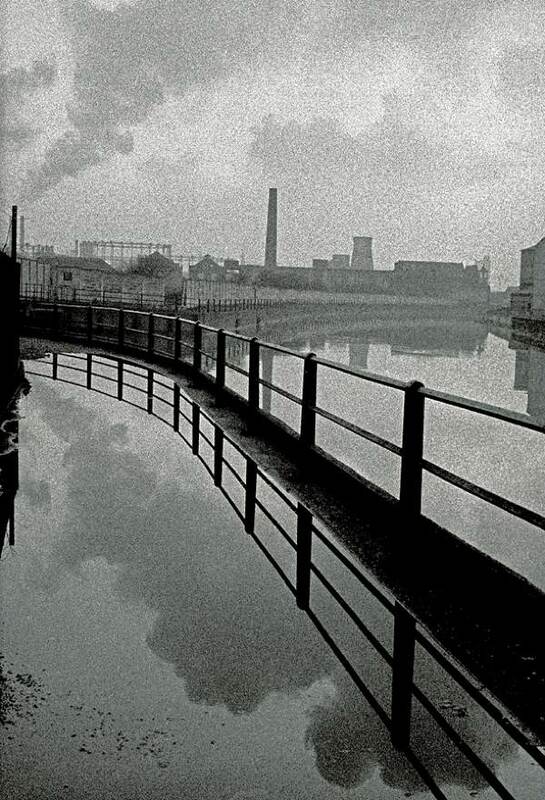 So evocative of the way the river looked, felt and smelt in those days. Enjoying John’s early years and photographs. The background of a unique series. What beautiful textures and depth of field and the reflections in ‘After the Rain’ are just stunning. 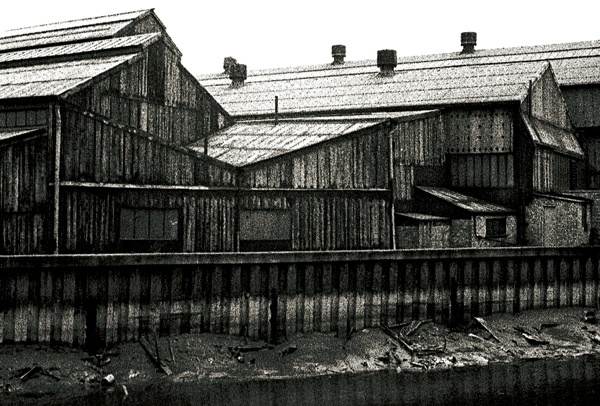 I can’t believe how few buildings there were then along the river. 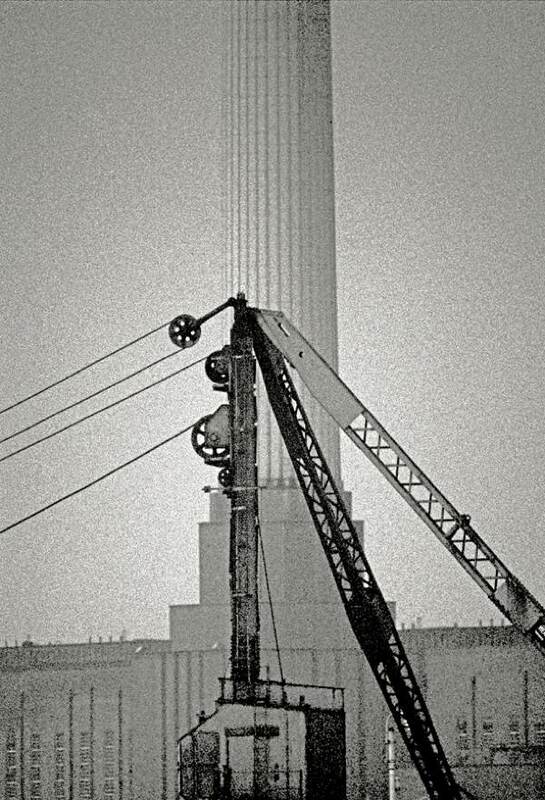 Yet more important documentary photos of London of scenes that will never be seen again. John’s pictures never cease to amaze or excite me. Keep them coming to brighten our early week blues! Lovely set of images,you can definetly smell and hear the river. Beautiful more beautiful than the most beautiful. Evocative shots. It’s probably against health & safety rules but at low tide, a walk down Pelican Stairs can still access the Thames’ mud and memories. Followed by a drink in The Prospect of Whitby? Lovely work John. Love the emotional contrast of the two shots Spars and Barges, one hectic and busy one calm and quiet and both without people. 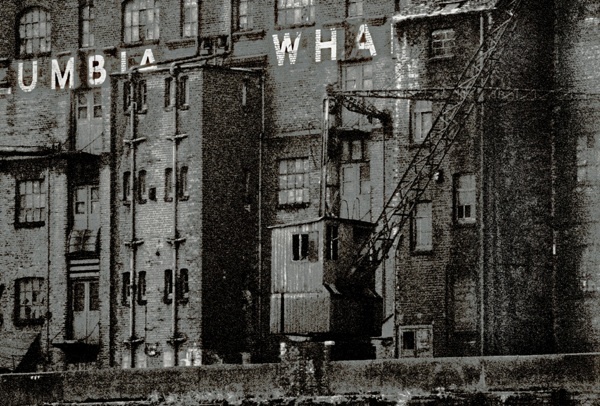 Reminds me so much of Humber St. Andrew’s dock where my father used to work in Hull. Of course all of those old wharves will be expensive “City Boy” conversions now. I’d love to see these images printed up..The internet’s all very well etc etc. brothers everywhere.They forgot to mention the dinghy! More marvellous and evocative pictures augmented by excellent text. When and where will John’s work next be exhibited? 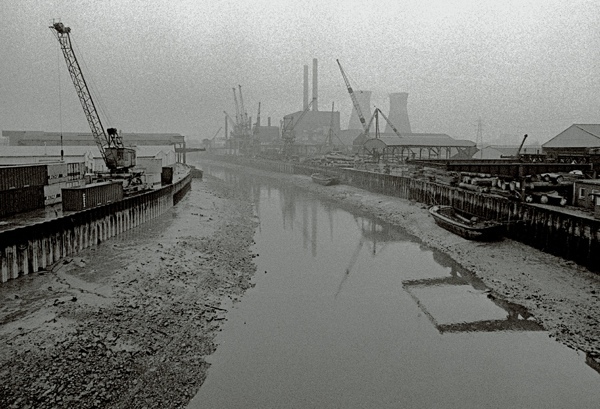 Another great set of pictures from John, one can almost smell the river by looking at these raw pictures of the docks. Can you imaging if you tried to get in a little boat on the Thames today? You would be surrounded by special branch and thrown into prison, now there’s an idea! Thank you for showing us the images John. 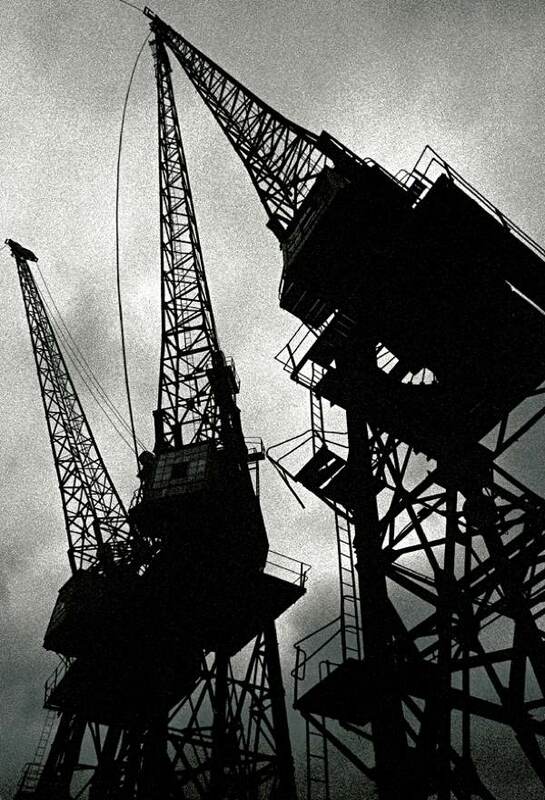 Another set of great nostalgic pictures, Love the Ship Maintenance, Three Cranes and After the rain. Keep them coming John. Another amazing set of shots. Any chance of a book featuring these incredible pictures? Thanks again. Quiet evening, Three cranes & Steps… Beautiful… I love John’s photos. There has to be a book on the horizon so that these pictures can be appreciated by a wider audience. There are hundred of books out there showing the ‘Tourist’ side of the City and the architecture, fashion, art, culture etc, but John is showing what was (and still is in many cases) the reality for countless millions who have lived, worked, dreamed and died in our Capitol. 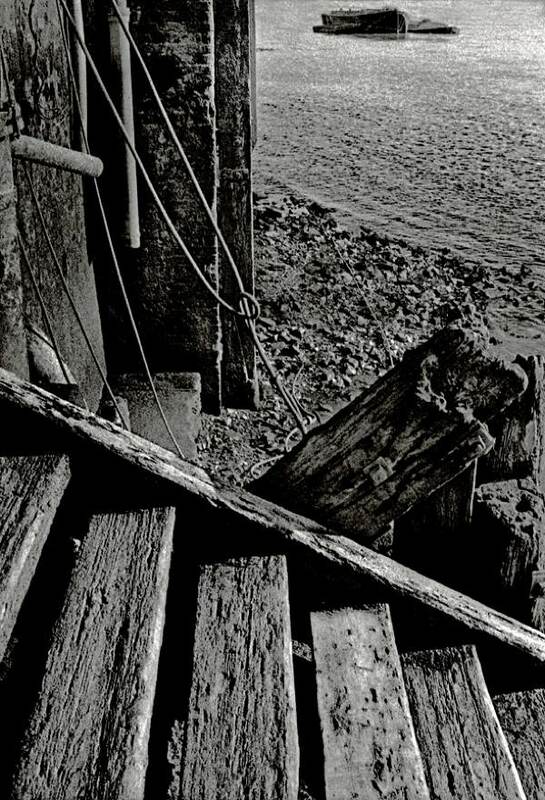 I certainly hope that there are more photos to come…..
A lot of these photographs remind of when my dad (an ex docker) would take me and my brothers around the old run-down and disused docks when we were children. 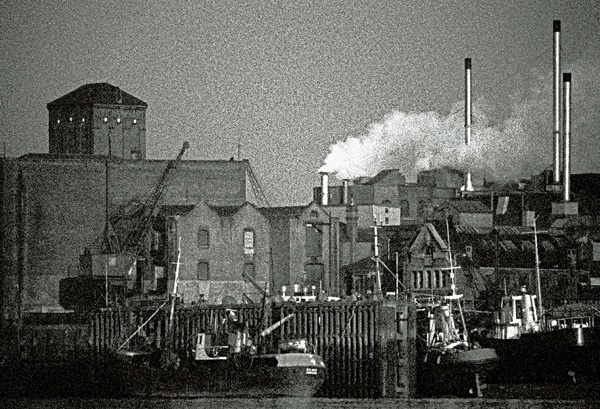 The atmosphere John captures makes me pine for the London we’ve lost, before the sanitisation and the infestation of generic architecture and retail ‘experiences’. Stunning. Barges and After the Rain in particular. These pictures are wonderful John. I love the river and often just walk through the City part of it, not the same images as you have found,but still a very vibrant part of London and now used by so many people who I hope at some stage should be seeing these images for themselves,just to realise the changes that have taken place since you saw them.Once again thankyou so much for so many memories. Eery . . . evocative . 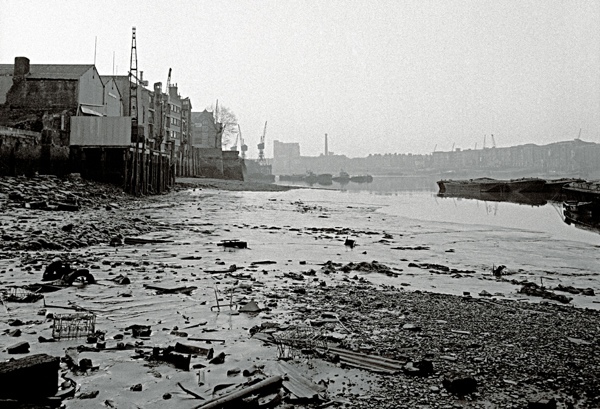 . . more exceptional images by JC of times gone by down on father Thames! What can l say when i’m utterly speechless? 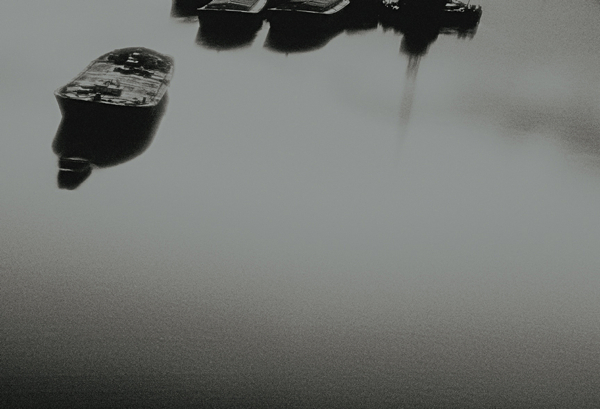 ‘Barges’ has my soul. What an image! Staggering. ALL inspiring and make my eyes bleed for film. Supurb photographs! They bring back memories of an area that i new so well. Another superb set…the visual talent at so young an age..of going down to water level to get a different angle….well what more is there to add!!! !